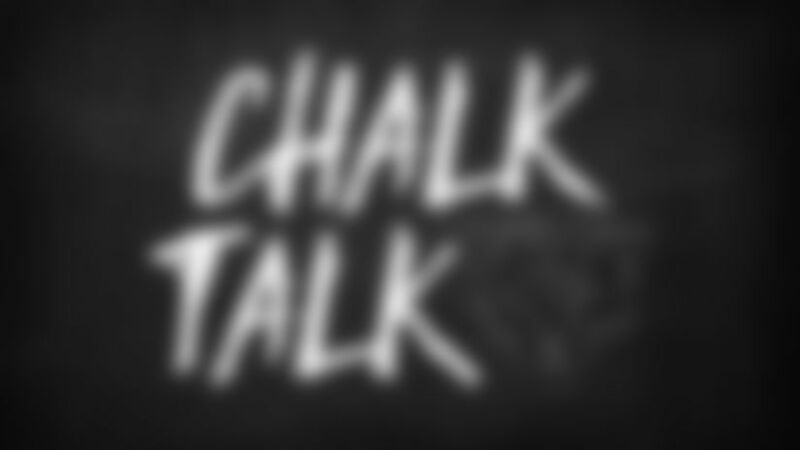 Chalk Talk: How did Daniels grade out? How did James Daniels grade out in his first start against the Jets? I can tell you that the Bears were pleased with how left guard James Daniels performed while making his first NFL start (and playing an entire game for the first time) against the Jets. He was part of an offense that amassed 395 total yards and 22 first downs. Here's what coach Matt Nagy had to say about the rookie second-round draft pick: "He played a good game. There were a couple things in there where he got a little bit off balance, but one of his strengths is being able to recover with leverage. A couple other times, he was pulling in the run game and had some thumpers where he was bringing it. I thought overall in the pass game, the offensive line did an awesome job protecting. They did a really good job in giving green grass to Mitch [Trubisky]. And specifically, 68 (Daniels), I thought for being in there as much as he was, he did well." When was the last time the Bears won and all three of their NFC North rivals lost on the same weekend? The Bears won and all three of their NFC North rivals lost this past weekend for the first time in exactly two years. In Week 8 of the 2016 season, the Packers lost to the Falcons 33-32 and the Lions fell to the Texans 20-13 on Sunday and the Bears followed by beating the Vikings 20-10 on Monday Night Football. This past weekend the Bears defeated the Jets 24-10, the Vikings lost to the Saints 20-10, the Packers fell to the Rams 29-27 and the Lions lost to the Seahawks 28-14. Watching how good Mitchell Trubisky is at running with the ball made me wonder: Has a quarterback ever led the Bears in rushing? Yes, it happened in 1972 when quarterback Bobby Douglass led the Bears in rushing with 968 yards and eight touchdowns on 141 carries, a 6.9-yard average. The top running back that season, Jim Harrison, ran for 622 yards on 167 attempts. Mitchell Trubisky has rushed for 296 yards, the second most by an NFL quarterback this season behind the Panthers' Cam Newton (309). Jordan Howard leads the Bears in rushing with 392 yards on 112 carries. Trubisky, who is averaging 8.0 yards per carry, is on pace to rush for 677 yards this season.